25 years experience in Dental Implant Surgery and Restoration. 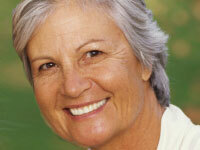 Implants - to help stabilize loose dentures and replace missing teeth. A miracle waiting to happen - dental implants- Smile with confidence. For permanent tooth implants in the Medina area, count on Dr. Joseph G Marcius. He will be happy to discuss teeth replacement options with you that will have you smiling with confidence. We also provide dentures, cosmetic dentistry and wisdom teeth. Many of our patients come to us because the feel embarrassed and frustrated by unsightly missing teeth, but don't want the inconvenience of dentures. Our professional and affordable implant dentistry methods at Chapel Hill Dental Care improve smiles and restore confidence. So if you're looking for quality Medina tooth implants, call us today at (855) 777-5327. Or complete our online form for easy scheduling. We want you to have the long-lasting smile you deserve. Medina area teeth whitening dentist Joseph G Marcius, D.D.S. loves to help brides, grooms and wedding party members look their very best for that special day. We offer a Wedding Day Special for tooth whitening that will provide you with the dramatic results you desire. A true crime story written by my daughter - the Prison Break from Dannemora and the Manhunt that Captured America. On June 6, 2015, inmates David Sweat and Richard Matt broke out of Clinton Correctional Facility, New York's largest maximum security prison. After nearly 3 weeks on the run, a U. S. Customs and Border Patrol Agent shot and killed Matt. Two days later , A New York State Police Sergeant shot Sweat twice. He survived -- and agreed to share his story exclusively with my daughter from behind bars. Learn how bacteria found in the mouth can contribute to heart attacks, certain cancers, dementia/alzheimer's, metabolic problems, diabetes, arthritis, pregnancy risks and other medical problems! These bacteria are transmissable to others! My book is Available at Amazon.com. We are passionate about what we do for our patients. We would like to welcome you to our office. Give us a call! Wake Up With a New Smile! This book will help you if you are considering cosmetic dentistry, dental implants, sedation dentistry or other dental procedures. It also discusses the mouth body connection and proper hygiene methods. The book is available at Amazon.com . Our Dentistry Changes Lives. We believe that a healthy alluring smile can change your life and overall health. Dr. Joe Marcius is a contributing author to The Professional Performance 360 Special Edition - in this compilation, various authors share their experiences (both successful as well as those to avoid) to help others better understand the prerequisites of success. Knowledge, goal-setting, planning, perseverance, action and passion for what you do are some of the attributes for success. Success then becomes a habit and a precious quality to share and teach with all who wish to achieve. If fear of visiting the dentist is keeping you from getting the dental care you need, call us today at 330-633-7141. We understand how you feel and can explain how sedation dentistry can help ease your fears. We are proud members of 'Smiles For Life,' a prestigious alliance of leading-edge dentists around the world who are strongly committed to promoting oral health, and serving their communities through charitable work. Dr. Joe Marcius was interviewed at the Hard Rock Cafe in Times Square with other experts in their fields of interest. Dr. Joe talked about dental implants, dental sedation and cosmetic dentistry. If you want to find out how you can get the gorgeous, sparkling smile of your dreams, call our office today to schedule a free smile analysis. You've got nothing to lose and so much to gain..Visit the smile gallery to see our Cosmetic Dentistry resluts. Whether you're new to our practice or just need to schedule a regular or follow-up appointment, we make it as easy as possible. We understand the fear associated with dental care. We're looking forward to seeing you in our office soon. If you're looking for an experienced implant dentist in Summit County you've come to the right place. Dr. Marcius offers implant dentistry that Summit County residents depend on for the highest quality dental care. The American Dental Society of Anesthesiology is a group of dentists who are committed to the task of making dental care more pleasant through a variety of advanced pain and anxiety control techniques. 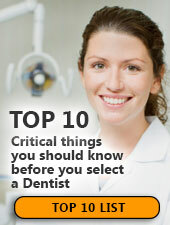 Membership in this organization is evidence of your dentist's concern for your comfort and health. Did you know that tea can stain your teeth even more than coffee? Many other foods can cause tooth staining, including deeply colored sauces like tomato and curry, highly-acidic sports and energy drinks, red wine, cola, dark berries, artificially colored candy and many others. At Chapel Hill Dental Care we recommend that you rinse your mouth with water after consuming any of these stain causing food, or use a straw to sip sodas and iced tea. Please call us at (855) 777-5327 if you have any questions about foods and your dental health. You may or may not realize that you're screened for oral cancer during your regular dental cleanings at Chapel Hill Dental Care. According to the Oral Cancer Foundation, an American dies of oral cancer every hour of every day. It's a sad proposition, especially when you consider that it is highly curable with early diagnosis. So if you’re not visiting the dentist regularly, please call our office today at (855) 777-5327 to schedule an appointment with Dr. Marcius.